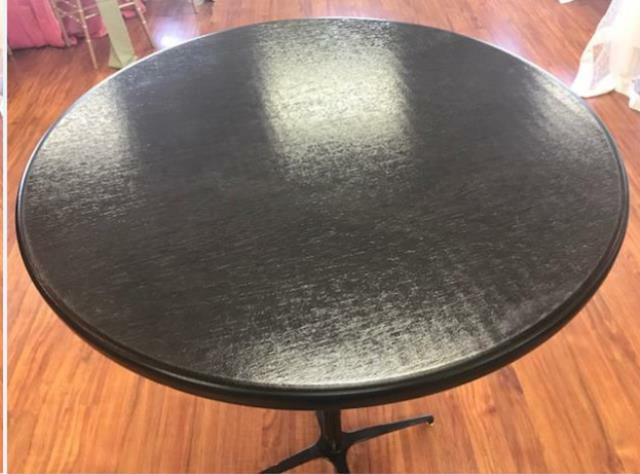 THIS BLACK CAFE-BISTRO TABLE FEATURES A CLASSY ALL BLACK LAMINATE TOP, COLUMN, & BASE. IT COMES IN A 42" COCKTAIL TABLE HEIGHT OR 30" TABLE HEIGHT. 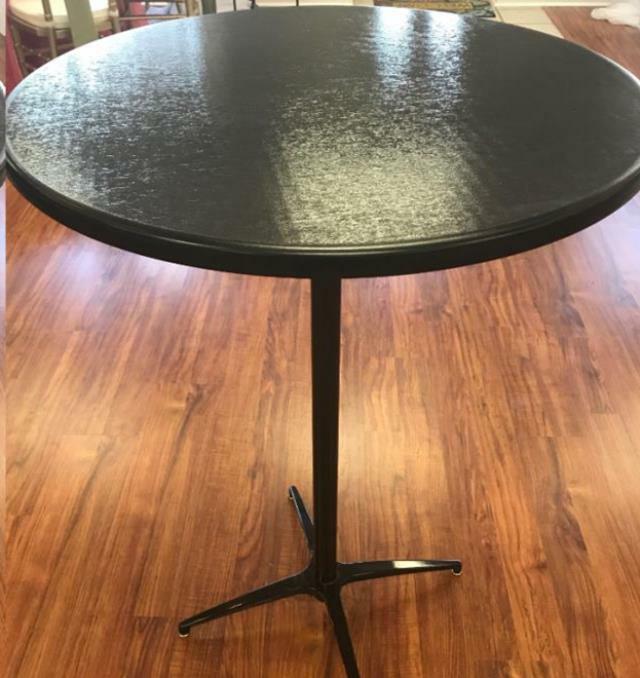 * Please call us for any questions on our cocktail table 30 inch black rentals in Cornelius NC, Lake Norman, Mooresville, & Davidson, North Carolina.